Compact cattleya orchids, have all the appeal of standard cattleya, they’re just smaller and more manageable. They can bloom in a 3.5″ pot and generally stay under a foot tall. Plants can get large as they put out new growths, but can be kept manageable by dividing every two to three years. Many, like the Potinara Lisa Taylor Gallis ‘Nora’ pictured here will also bloom twice a year. This plant bloomed in spring and now has two flowers an a bud(on another growth) six months later! These plants can be grown on a sunny window sill with southern exposure, or under lights. Feb27, 2011 update to this post. 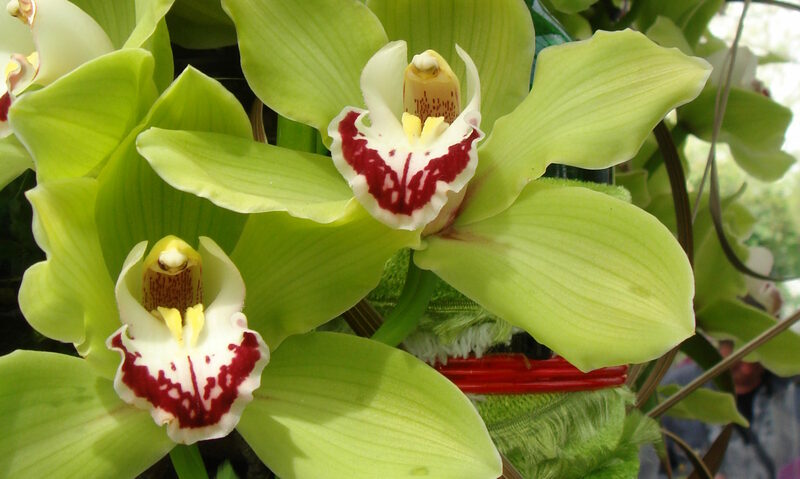 The orchid is now blooming with 11 flowers, in a 4″ pot! One of the growths has 5 blooms that shows you what this clone is capable of. It matured several growths without flowers, since my last post. The sheaths all dried up but then early this spring, buds appeared from almost all the dried sheaths! So the message here is never remove the sheaths, even if they appear dry. The flowers have a lovely fragrance to boot. This is definitely a keeper. And, by the way, I’m growing this orchid in a mud(peat-based) mix(pro-mix HP with added perlite). Pot. Kat E-Sun ‘Caribbean’ (Sc. Beaufort ‘Elmwood’ AM/AOS 4N x Blc. 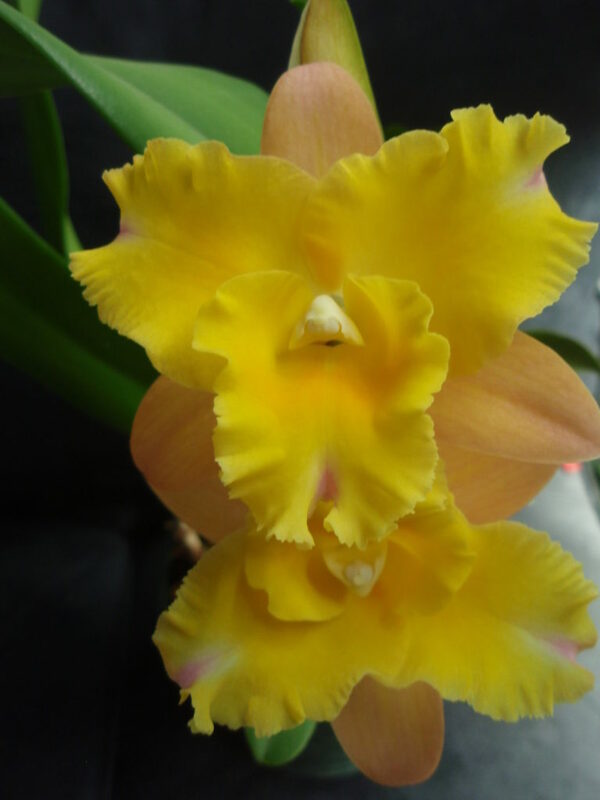 Sunset Bay ‘ Miyamoto’) is a stunning orchid as you can see. Its in the Cattleya alliance. The Beaufort parent is a classic and brings plant size downs considerably–this is obviously a happy marriage with the Blc. Sunset Bay. I grow this plant in a sunny south facing window year ’round. It is blooming in 3.5″ pot and has several strong growths and leads so will need repotting soon. It took about a year to bloom although it matured at least one or two growths in this period. Often I find that many orchids with cyclical growth patterns take a while to adjust to your growing environment, especially if quite different from the one they were growing in before purchase. However, once they’ve settled in, they should have a more regular blooming cycle. This hybrid apparently blooms several times a year–something to look forward too!